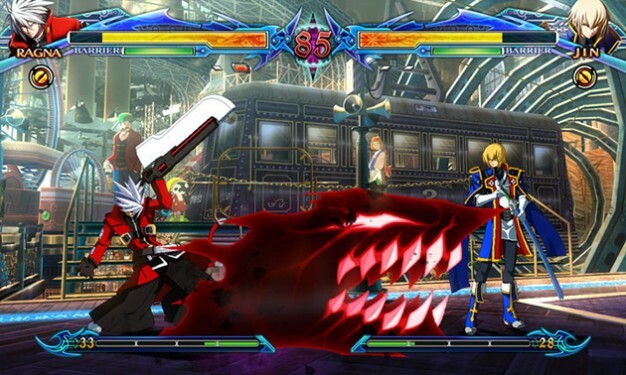 Fighting game fans can finally rejoice as the third standalone title in the BlazBlue series of fighting games has finally come to store shelves in BlazBlue: Chrono Phantasma. Arc System Works and Aksys Games have put together another stellar product that showcases their expertise in the realm of fighting games. Not many games in this genre are as deep or offer as much re-playability, but BlazBlue: Chrono Phantasma delivers this in spades. 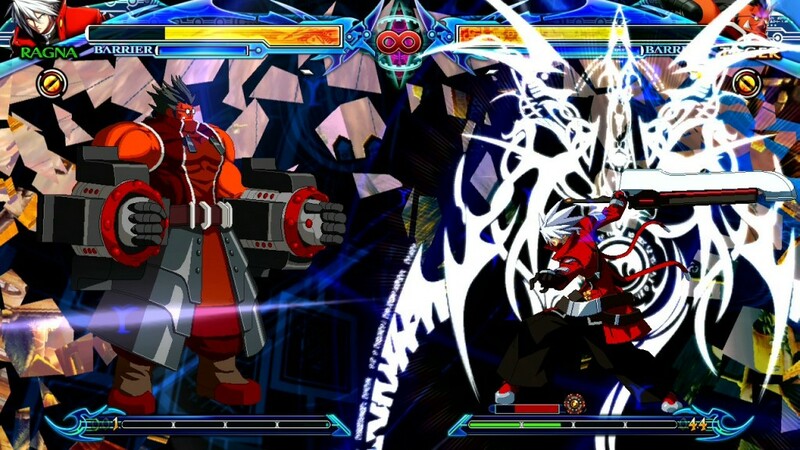 Accessible to beginners as well as longtime fans of the BlazBlue franchise, this game is bound to be remembered as one of the best games of 2014. ASW has made new additions to the roster of fighters, updated some of the games favorites and added some new gameplay mechanics that make this outing feel new and invigorated. 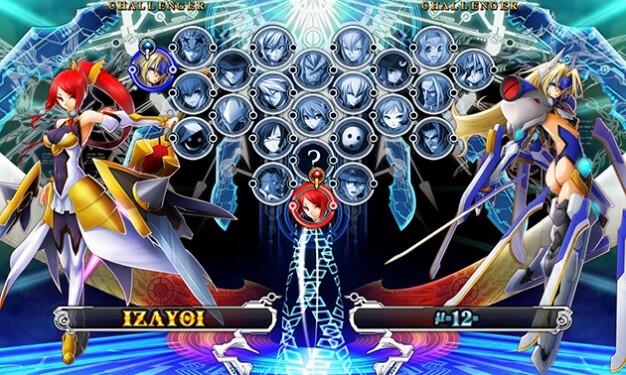 In typical BlazBlue fashion, gameplay moves along at Blaz-ing speed. Staying on offensive is the best way to utilize the combat system. 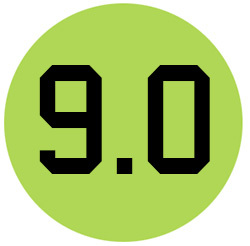 It offers a host of aggressive attack-based tools and encourages you to use them. The action hardly ever slows so learning as much as you can in the beginning will go a long way towards helping you conquer BlazBlue’s other modes such as the punishing Unlimited Mars Mode, which pits you against “Unlimited” versions of the cast that have enhanced, overpowered moves. The standard compliment of moves are all present: dash, air dash, high jump, double jump, jump cancel, and defensive roll are here to allow you to quickly close the distance between you and your opponent and open up a large can of Whoop-a$$. Veterans to fighting games (and those looking for a profound challenge) will definitely appreciate the depth that they will have to go to master their favorite characters using the game’s Technical Mode. Though BlazBlue: Chrono Phantasma has a loyal fan following who have become familiar with how the game controls, Arc Systems Works has built in a way for beginners to jump in and learn the intricacies of the game without having to memorize hard to remember strings of button presses. Stylish Mode does a great job of boiling down the already simple combat system and makes it even more accessible. The flow of the game advances by using combos. By pressing square, triangle, circle, and then x in order, you can unleash a basic combo. The Special moves are made simple as well and can be executed by using the quarter to half-circle inputs on the analog stick or d-pad along with the appropriate button presses. There is also included a plethora of tutorials that cover everything from the basics to unique mechanics such as how to chain attacks into amazing, stunning combos or the best way to apply throw pressure. One thing that you will immediately notice about BlazBlue: Chrono Phantasma is the amazing HD sprites and the phenomenal looking stages that combine 2D and 3D art. They are stunningly created, multi-layered backdrops that contain lots of integrated events that help create a more “alive” environment. The character models are incredible as well and contain hundreds of unique frames of dynamic animation that allow for smooth flowing combat, helping differentiate the 23 unique fighters. In addition, the music that plays during the battles is very good, and many tracks appropriately rock-out for a no-holds barred throw-down. The music pummels the soundtracks of other fighting games into the dust and encompasses many different styles offering guitar-laden rock and roll tunes with more grand orchestral compositions. The online play is one of the highlights of the BlazBlue franchise, and this iteration is no different. Once you have worked you way through the stories of a few of the characters and gotten comfortable with the new combat system, you will have to try your skills against other human opponents across the globe. Matches were smooth for me and I didn’t notice any lag whatsoever. The matchmaking service does a quality job of pairing the fighters, and I was usually paired with someone who was equal to or slightly better than me to spar against. Though BlazBlue: Chrono Phantasma doesn’t do anything to revolutionize the series, or the fighting game genre in general, it is a solid entry that’s easy to recommend to veterans and novices alike. I was pleasantly surprised with how much content is packed onto the game disc. There is plenty to keep you invested whether you are new to the ring in BlazBlue or are a veteran fighter looking to keep your skills sharp. The new fighters added to this round coupled with the myriad of single-player modes as well as the outstanding online system makes for a very impressive addition to the BlazBlue family. If you plan on adding this title to your library, be prepared for a solid experience that will surely keep you playing until the next edition graces our consoles.